20 Mar City Farm Opening Announcement! We are thrilled to announce the commencement of a new City Farm located in Utrecht! 75m2 of vertical farming plus 15m2 of outdoor farming will be growing 6 tonnes of edible crops for its restaurant, “THE GREENHOUSE”! Vertical farming is the practice of producing food in urban areas with vertically stacked layers. 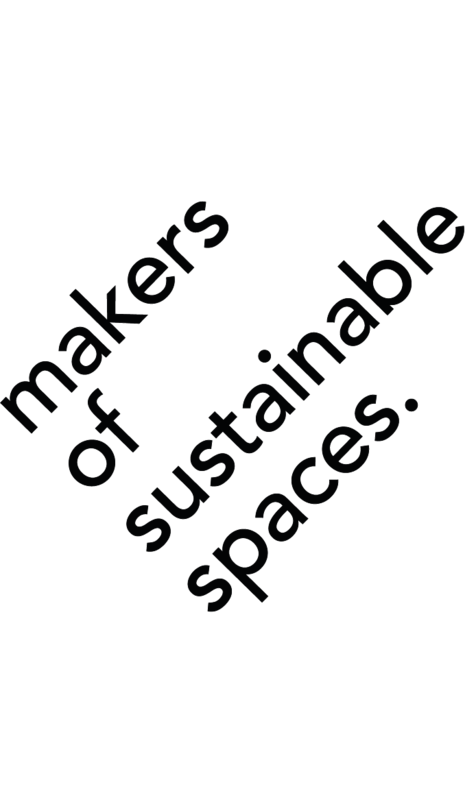 Preserving biodiversity, tackling waste and reducing the amount of energy used to produce, transport and distribute food are the primary environmental benefits associated with vertical farming. This new state-of-the-art City Farm is a hub for visitors, students, and businesses to gather, eat fresh food, collaborate, and learn. We thank Albron for the initiative to host this City Farm and to take the lead in fresh food. Based on our design philosophy of circularity, simplicity and modularity, more than 60 crop varieties are growing at THE GREENHOUSE in our HRBS (Hydroponic Rotational Botanic Service) system. The project is built entirely for circularity, which is even seen in the architecture that is completely dismountable and built of reclaimed materials. Growing organic food in cities helps us preserve the environment. Compact city farms result in a higher ratio of food production per plot and eliminate the need for chemical fertilizers, pesticides, and herbicides. By producing fresh food close to where it will be consumed, urban farming significantly reduces packaging, refrigeration, and transportation. 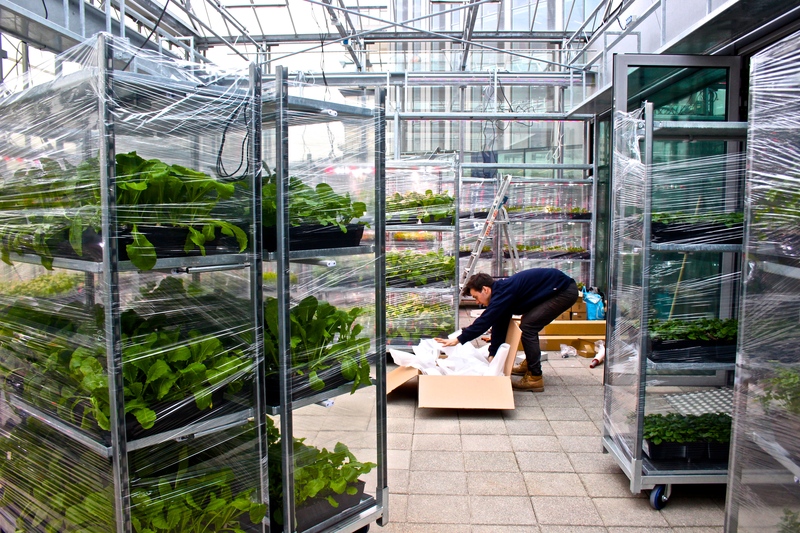 Crops at THE GREENHOUSE are harvested right on site, omitting packaging and refrigeration. With the kitchen just a few steps away, it doesn’t get much fresher than that! Agriculture today uses 80% of earth’s freshwater. Compared to traditional farming, vertical farming uses 70-90% less water. By recycling any excess water through the project, water waste at THE GREENHOUSE is completely absent. To further reduce waste, kitchen waste is composted into organic fertilizer, to recycle nutrients back into the garden. Check out what’s going on at the construction site! The construction crew is here! They are laying down the foundation for the Rain Garden. Here is where it all begins, at our local grower. It’s all hands on deck when the crops arrive! Here’s our grower, Marco, setting up our LED plant lights. Lights, water, plants! We’re nearly ready! On April 9, 2018 THE GREENHOUSE Restaurant is open for business! Did you ever wonder where your chives came from? Or, how many people were involved in the supply chain which brought those strawberries to your plate? Here is cooking as it was once invented. The restaurant at THE GREENHOUSE serves seasonal meals, with vegetables and herbs straight from our farm. As a bonus, THE GREENHOUSE offers a variety of spaces in addition to its restaurant, including outdoor seating, office, and workshop space. If you’re interesting in taking a tour or renting out the space, please call +31 (0) 6 22131447 or email reservations@thegreenhouserestaurant.nl.